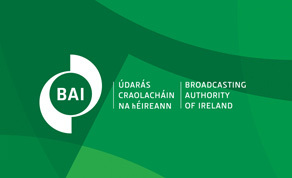 The Broadcasting Authority of Ireland (BAI) has launched its revised Broadcasting Services Strategy BSS), which provides the framework for the formulation of licencing plans and associated licencing activities by the BAI. It is one of the primary means by which the Authority fulfills its key statutory objective of endeavouring to ensure that the number and categories of broadcasting services in the State best serve the needs of the people of the island of Ireland. In addition to the licensing of broadcasting services across a number of platforms, the strategy also has a number of related objectives. These include facilitating a mix of voices, opinions and sources of news and current affairs; promoting quality programming in the Irish language; promoting creativity and innovation throughout the Irish audio-visual sector; and working with stakeholders to achieve greater sustainability. The BAI commissioned an independent report on market structures, dynamics and developments in Irish media to inform the revised BSS. It also considered the findings of a survey of viewer and listener attitudes, and undertook an extensive public consultation to elicit views on its vision for the Irish broadcasting landscape and options for future development. Commenting, chair of the BAI, Professor Pauric Travers said: “The first BSS, which was published in 2012, anticipated change and evolution in the media landscape. However, the degree of the change and its pace, in particular, have been notable. The broadcasting environment is now one of significant disruption and challenge. In preparing this revised BSS, the BAI was mindful of this environment, the legislative requirements and key economic, regulatory and technological factors. When signs of improving revenues and profitability are evident, the BAI commits to exploring the licensing of at least one new sound broadcasting service on the FM band. The revised BSS is available on the BAI website here. The research report 'A report on market structure, dynamics and developments in Irish media' can be viewed here. The draft BSS that was put to consultation can be found here; and a Statement of Outcomes from that consultation is available here.